Remember the girl who made her debut with Tonny Viet via the song “Danh Quen/Resignedly Forget” back in 2007? Though her existence in Vpop 3 years ago may be (extremely) shortlived, something tells us the name Truc Duy will stick around for much longer this time. I mean, look at the above released MV poster. If it’s anyone to whip up a catchy beat and help kick someone back up the charts, Only C‘s the man. As for director Danny Do (from JustKiddingFilms)…his work seems promising enough, while cinematographer Bao Nguyen… well, I’ve yet to see his work but his name does sound familiar. In addition, producers VietMax (famous bboy & founder of BigSouth crew) and Elizabeth Ai are apparently both style-related contributors and it seems that VietMax is also part of the graphic design team called 84 Productions. If you haven’t noticed already, 84 Productions is where our banner came from, and, of course, the above poster as well as the official movie poster for Saigon Yo!. Comeback announcements aside, it appears that 454 Life Entertainment also contributed in lending Director Stephane Gauger a musical hand for the film. With so many overseas contributions to this project, the process of this film has span out to become a truly badass East meets West collaboration. Oh, her teaser photos look so bold! I’m excited to her song. 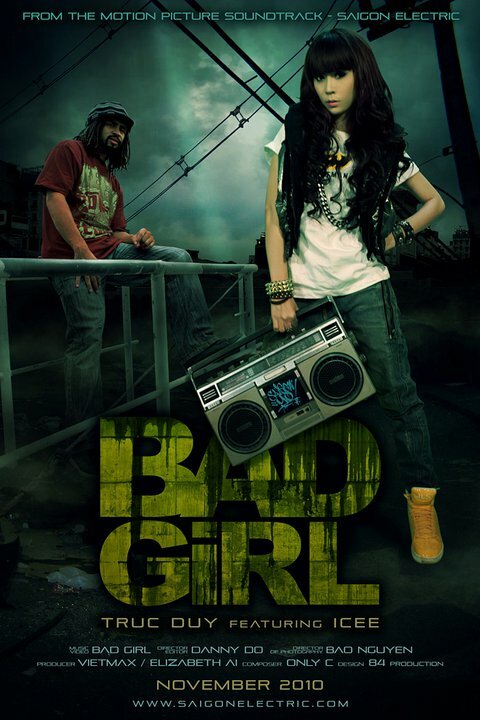 There are many bad girl, good girl, bad boy, good, bad, good, people songs. Hopefully this viet version will be unique and catchy! Also, I’ve noticed the updates are rolling in more quickly now for this site. Keep it up! I love checking back everyday for more news. Asian lady gaga is alive ..